Start your Sunday morning by watching the historical SpaceX launch. The launch had been scheduled to take place on Saturday but due to technicalities the launch was rescheduled for today. The Falcon 9 will attempt to touch down on Landing Zone 1. The weather conditions weren’t looking very good previously but things seem to have cleared up a lot and there is a 70% chance that the weather will remain favorable. On Friday SpaceX said that they were investigating a helium leak in the rocket’s upper portion. According to Musk the problem has not hindered the launch in any way. He said that an ‘abort trigger’ has been added just in case the leak caused any problems. The leak wasn’t the reason why the launch was aborted in the first place; however, it was a “thrust vector control issue” that delayed the launch. 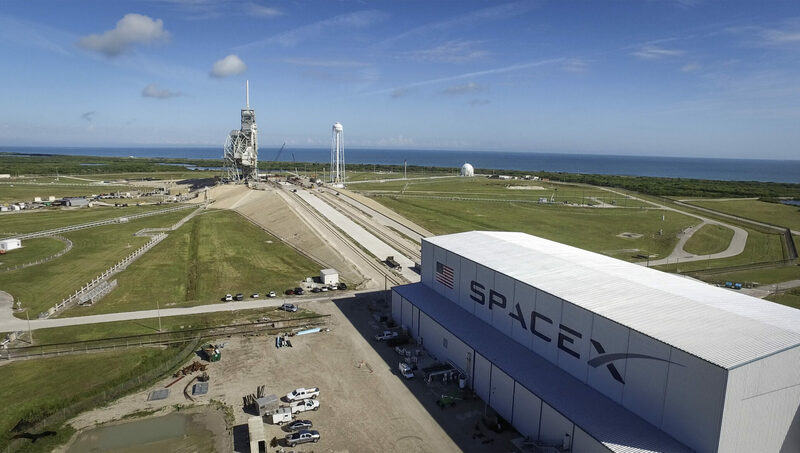 “At first the company had planned to use the Launch Complex-39A only for Falcon Heavy rocket launches and other commercial crew missions. On the 1st of September in 2016 a static fire test went wrong in its other launch pad the Launch Complex-40. This accident severely damaged the facilities and the company was left with no other option. So now the company had to expand the usage of this Launch Complex-39A. Apart from launch pads in Florida, the company has a facility at the Space Launch Complex 4E at Vandenberg Air Force Base, near Los Angeles. SpaceX used this base last month for a launch. The launch is scheduled for 9:39 AM ET. Stay tuned for more updates.